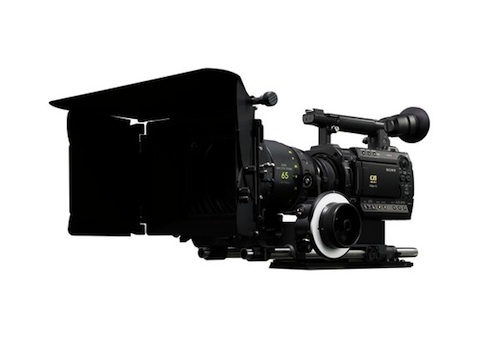 Sony has just announced a new Super 35mm Full HD XDCAM known as the PMW-F3k. The camera features interchangeable prime lenes, a PL mount to support still lenes, and a hot shoe electric interfaces for Cooke/i and ARRI LDS. It also has selectable bit rates from full HD 35 Mb/s (HQ mode) or 25 Mb/s (SP mode). This camera seems posied to market towards many of the HDSLR users, and to compete with the Panasonic AF 100. Check out the preliminary details below. It still has only 16-bit, 48K audio (probably going through crappy circuitry). So, for all you camera ops out there who know jack squat about audio…you’re STILL getting lousy audio and you’ll need a high quality double system.